Tencent, the world’s biggest games company, needs some help from Fortnite, the world’s hottest game. Just a few months ago, Tencent reigned as the most valuable company in Asia, but it has since suffered a record stock plunge that has wiped more than $140bn off its market value. The primary reason: The Chinese government unexpectedly froze the approval of new games, including Fortnite, stunning investors and even Tencent’s management. The move was a shock because no other major market operates with such unpredictable, opaque oversight - the US and Japan don’t require any government sign-off for games. Yet China has grown into the largest games market in the world with $38bn in estimated revenue. The industry is watching Tencent and its Fortnite dilemma to understand what comes next in a market central to everyone’s fate. China’s regulators haven’t given any explanation for the freeze. That’s set off heated debate over whether this is a temporary halt due to a regulatory reshuffling or whether the government is preparing a broader crackdown on games, which have been widely criticised in state-owned media. Tencent shares fell 1.5% on Friday and are off about 13% this year. Tencent and founder Pony Ma long benefited from their ability to navigate this regulatory maze. The company, based in the manufacturing hub of Shenzhen, operates the ubiquitous messaging service WeChat and uses the platform to promote games and other products. Tencent develops games and also licences titles - like Fortnite - from developers for the China market. Foreign companies need a politically savvy partner. All games go through a two-step approval process in China. First, they need to be registered with the Ministry of Culture and Tourism and checked for sensitive content. Then a second agency - the one going through a restructuring and name change - decides whether to grant a licence and allow commercialisation. The agencies bar content they deem too violent, sexual or otherwise inappropriate. The US and Japanese governments, by contrast, let game makers introduce titles on their own, and industry-backed trade groups bestow ratings based on language or violence. Tencent got stuck with one game, PlayerUnknown’s Battlegrounds (PUBG), part way through this process. It had the first approval, so it let millions of customers download the mobile version of PUBG, but then it couldn’t charge any money because it didn’t have the second approval. 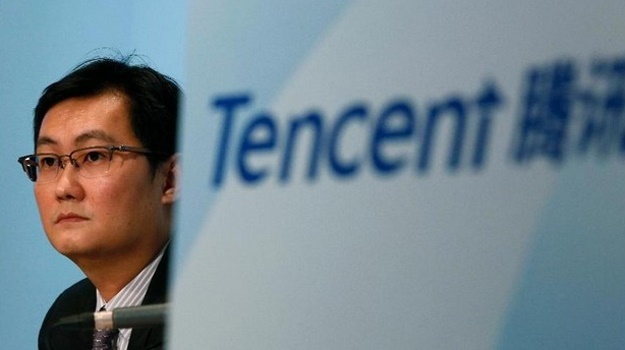 In a conference call with investors last week, President Martin Lau blamed Tencent’s profit shortfall on such snafus. "If there are certain games that are popular but can’t be monetised, then the revenue is gone," said Victoria Mio, co-head of Asia Pacific Equities at Robeco, which manages $195bn in assets. Tencent is trying to avoid a similar fate with Fortnite. The title, a Hunger Games-style competition where 100 players fight to the death, has become the most popular in the world with an estimated $2bn in revenue this year. Its reputation overseas stoked demand in China, where 10 million people have pre-registered to get it. “I would spend money on this game, 100%,” said Chen Feng, a 17-year-old gamer in Guangdong province. Tencent’s position is tricky though. It has approval to run trials with the desktop version of Fortnite,but is still waiting for the right to monetise it. The agency in charge hasn’t issued any licences since March, but this month introduced a so-called "green channel" which allows publishers to run a one-month monetisation trial for certain games. Tencent’s Lau said last week that it’s applying through the new process to start charging for Fortnite desktop. Greg Pilarowski, former general counsel for a Chinese games company, says the big question on everyone’s mind is whether the Communist Party will take over game approvals given their growing popularity. The State Administration of Press, Publication, Radio, Films and Television (SAPPRFT) that had been in charge of licences and commercialisation was split into three agencies earlier this year, with the Party taking away from the state oversight of the press, publications and films. That left video games - which don’t cleanly fall into any of the named categories - in limbo. No approvals have been granted for months, with no public indication of who’s in charge of game. If the Party takes charge, it may well tighten its grip over games like it has with the internet and other media. “The Party has been very, very focused on maintaining control over the internet, and all the regulations for the internet happen to catch games,” said Pilarowski, who now runs the San Francisco law firm Pillar Legal. "Tencent needs to monetise Fortnite as soon as possible,” said Toto. “Who knows what’s going to be hot six months down the road?"